What is your super hero power as a Maker or collaborator? Design a Super Hero that reflects these traits. This is a paper circuitry project. A sculptural art exploration integrating simple circuitry. A sculptural art exploration incorporating simple circuitry. Teen participants create 3D printed "sugar skulls" for Dia de los Muertos that celebrate someone important in their lives. Their reflections are expressed in both written statements and in 3D CAD designs created using Tinkercad. This workshop was originally conducted as a free teen workshop at the Dr. Roberto Cruz Library in Alum Rock, San Jose, California. 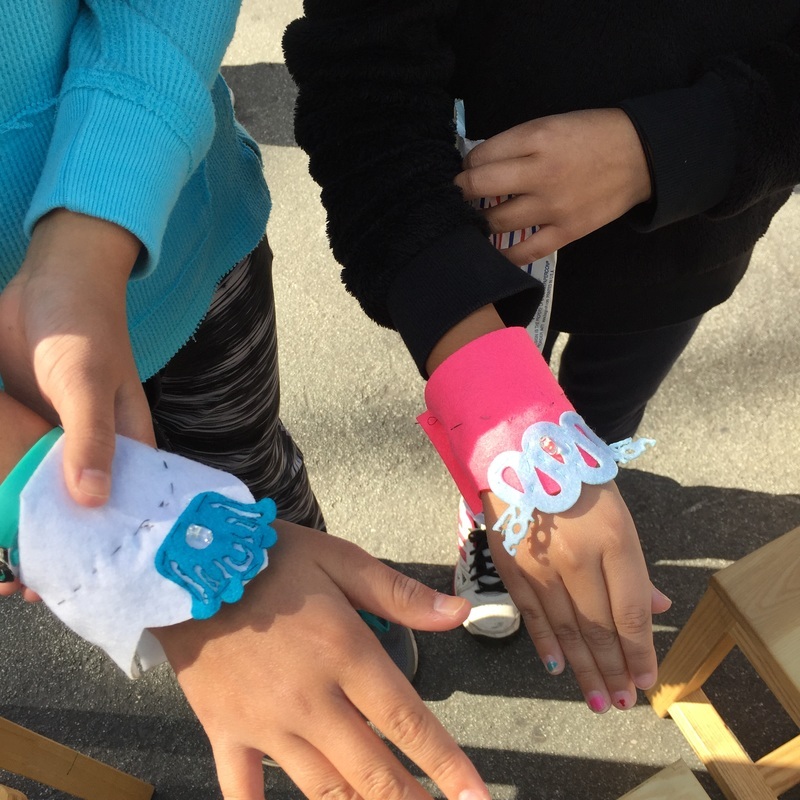 This is a sewing circuitry project conducted both as free community pop-up workshops and as two after school middle school workshops at Ocala STEAM Academy and at Renaissance at Mathson in San Jose. What is your super power? What is your kryptonite? This fun project invites reflection on how we interact in groups and on creative teams. Participants create a super hero badge that becomes a musical instrument when connected to a Makey Makey device and a computer. Choose a favorite book. Imagine your characters as chess pieces. What chess piece roll does each character play and why? Choose one chess piece and develop it as your book character. Audio Lines/ A bread boarding project using conductive paint. This two part project is an exploration in both circuitry bread boarding and painting. It results in an interactive piece of art that makes sounds and changes pitch depending on where you touch it with conductive wires that are hooked up to a bread board set up with a 555 timer and a speaker. 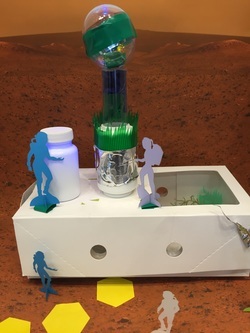 Design a prototype for a habitat on Mars taking into consideration the constraints of the environment and the criteria of astronaut needs. More lessons to be added soon. Our 2014 camp Maker Journal. Our 2015 camp Design Thinking Journal. 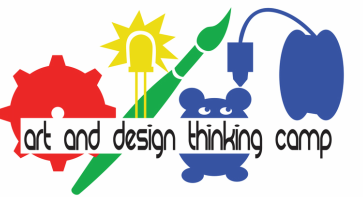 Useful article on assessment of design thinking and maker projects.